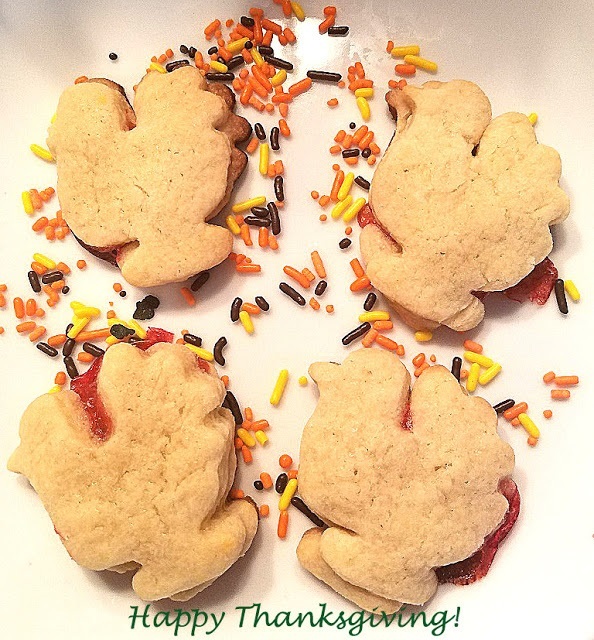 Thanksgiving shortbread Turkey Cutout Cookies are perfect for your Holiday tables! 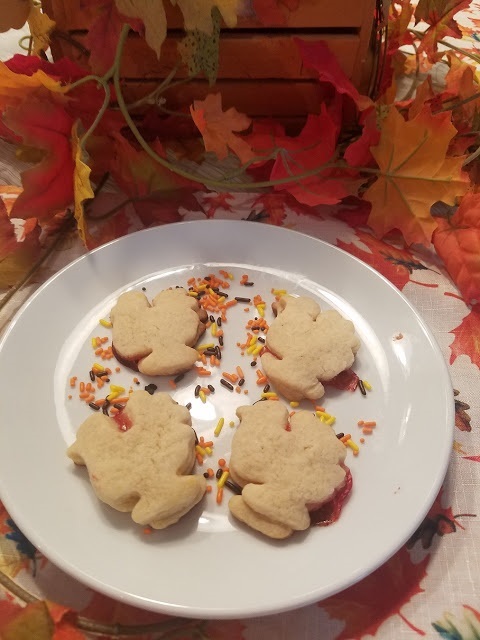 I love to make festive ideas around any of the Holidays this is the perfect cut out cookie for any of your Holiday baking needs. They are delicate shortbread pastry style cookies that everyone will love. The best part is they are filled with any of your favorite jams! Of course if you find fall looking cookie cutters of any kind add them to this plate to be festive. I bet some horn of plenty, pumpkin cookie cutters and fall leaves would be adorned on this plate. 1/2 cup seedless jam like raspberry preserves or your favorite! Mix all ingredients in a bowl until it forms a soft dough except for the jam. Roll into an 1/8 inch thickness and cut into cookie cutter shapes of your Holiday theme. You will need two pieces of dough to make a sandwich, for each cookies. Fill with jam in center, top with another cookie. Place on greased cookie sheet or parchment paper. Bake in a pre heated oven at 350 degrees until light brown around 8 to 10 minutes. These are so cute! I bet they taste as good as they look, too. Hope you had an amazing Thanksgiving!!! What a great idea for Thanksgiving! I'm sure that your grandchildren loved them too! Hope you had a wonderful Thanksgiving!